Echinacea, commonly called coneflower, is a perennial plant that bears daisy-type flowers from midsummer to frost. The flowers of the species types are pinkish-purple, while varieties have blooms in shades pink, purple, orange, yellow or white. The plants grow 2 to 4 feet tall, depending on the variety. Echinacea plants grow best in full sun, but they will grow in partial shade. They need well-drained soil and tolerate drought and heat. They are hardy in Zones 3 to 9. Leaf blight is caused by the anthracnose fungus and results in brown dead leaves on echinacea plants. It can be treated with a fungicide applied according to the manufacturer’s directions. A pseudomonas bacterium causes reddish brown spots and distorted leaves, while a xanthomonas bacterium causes angular to circular brown spots with yellow halos. Leaf spots do not normally affect the health of the plant. There is no treatment for bacterial leaf spots. Yellows disease, also called aster yellows, damages the plant tissue that conducts food in infected plants. The petals of the flowers turn green and grow into distorted leaf-like structures called witch’s brooms. The leaves turn yellowish or reddish and the plant becomes stunted, and eventually dies. There is no treatment for yellows disease and infected plants should be removed and destroyed. The fungus sclerotium rolfsii affects echinacea plants with southern blight during hot weather. White strands of mycelium grow at the soil line of plants, causing part or all of the infected plant to wilt and collapse. There is no treatment for southern blight. The entire plant and the strands of mycelium should be removed and destroyed. Gray, or sooty, mold is a fuzzy gray fungus that grows on the leaves, stems, buds and flowers of echinacea plants. Powdery mildew is a dusty white fungus that affects the same plant parts. Both are more common in cool damp weather. The infected plant parts should be removed and destroyed. A fungicide applied at the rate recommend by the manufacturer may prevent and control gray mold and powdery mildew. 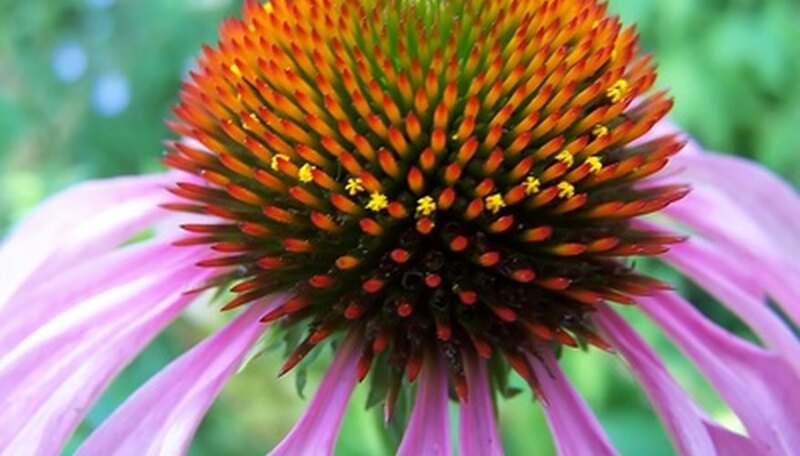 University of Illinois: Diseases of Echinacea sp.